With it’s moderate length, thick, dense coat that stands on end, the Teddy guinea pig is a popular pet for children. They are a curious breed, who love attention. As it’s name suggests, it is often said that this particular guinea pig breed resembles a soft toy. Like a teddy bear, these fluffy fellows are best known as being soft and cuddly, however they actually come in two variants, one with a plush (soft) coat and the other with a harsh (coarse) coat. Teddy Guinea pigs make for an excellent pet. They are extremely low maintenance, are quick to bond with their owners and have an energetic and friendly temperament. Although a low maintenance breed, it is still recommended that you brush their hair at least once a week. Gentle brushing helps remove loose hair from the Guinea Pigs coat. For Teddy Guinea Pigs that enjoy outdoor play, you will need to bathe them occasionally (max 3 times a year), however not too often as they have dry skin. You also need to ensure you use a special shampoo from your local vet. Teddy guinea pigs that do not play outside may not, ever need a bath. The only special care this breed requires is to keep a close eye on earwax build up in their ears, which must be cleaned from time to time using a warm, damp towel to gently wipe the insides of their ears. It is important that your Guinea Pig is fed a variety of healthy foods, not just commercially available pellets. A guinea pigs diet should include: Timothy hay, Vegetables, Fruits and Pellets. As well as keeping hay for a Guinea Pigs bedding, a selection of Timothy hay should be offered for food, by placing it in an area designated for their feed. Encourage your Guinea Pigs to eat from the hay by mixing in other recommended food. Fruits and Vegetables should be offered in moderation, as too much of either can cause diarrhea. Check with your local vet if you are unsure of how much fruit and veg to offer your Cavie. Take care when selecting food pellets for your Guinea pigs. Not all pellets are created equally, and a high quality pellet is much better for your Guinea Pigs health. Look for pellets that have Fibre, Protein and Vitamin C, your local vet should be able to assist you to locate a quality pellet for your pets. Never give your Guinea Pigs any of the following foods: Dairy products, Meat, Chocolate or lollies, Iceberg lettuce, Corn, Tomato leaves, Potatoes, Rhubarb, Multi-vitamins, Raw Beans or anything that has sugar in it. Also ensure that you never provide your Guinea Pigs with grass or hay that has been treated with any pesticides. Regardless of if the hay is for feed or bedding. Make sure you choose a time of day to feed your Guinea Pigs that you can keep to consistently. Guinea Pigs thrive on schedule and will become stressed out if their meal times vary from day to day. Choosing the correct home for your guinea pig is an important process. Their home should keep them safe, have plenty of room to play and rest, and provide shelter from harsh weather conditions. 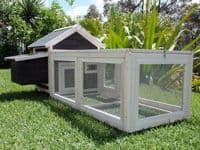 Many of the Guinea Pig cages available at a local pet store do not have adequate space to house a fully grown Guinea Pig, so please take care to check the dimensions when looking for a cage. It is important to think ahead, and pick a cage that will have plenty of space for your guinea pig/s when they are fully grown adults. Remember, they won’t always be so small. As far as your guinea pigs health and happiness goes, the larger the cage the better. Especially if you have more than one guinea pig. 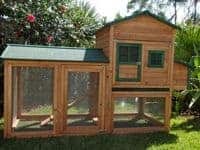 Social benefits – Guinea Pigs with an adequate amount of space are more likely to be comfortable in their home, and as such will be happier, and more sociable in their interactions with their owners. Ability to express natural behaviour – Guinea pigs need a large area to explore, “pop corn”, run laps and freely communicate with each other. The minimum space required for housing a single Teddy Guinea Pig is 76cm x 91cm, or 0.7sqm. The more Guinea pigs you wish to keep, the larger the cage should be. To keep Two Guinea Pigs, the cage should have an area of at least 0.7-1 square meter. To keep Three Guinea Pigs, the cage should have an area of at least 1-1.2 square meters. To keep Four Guinea Pigs, the cage should have an area of at least 1.2-1.3 square meters. 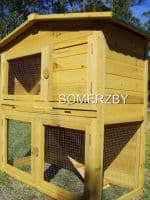 At Somerzby, we have a large selection of spacious cages that can comfortably house one or more Guinea pigs. We also have a great selection of breeding banks available. To view our range, please click here. This entry was posted in Guinea Pigs and tagged care, cavie, guinea, guinea pig, pig, teddy, teddy guinea pig.